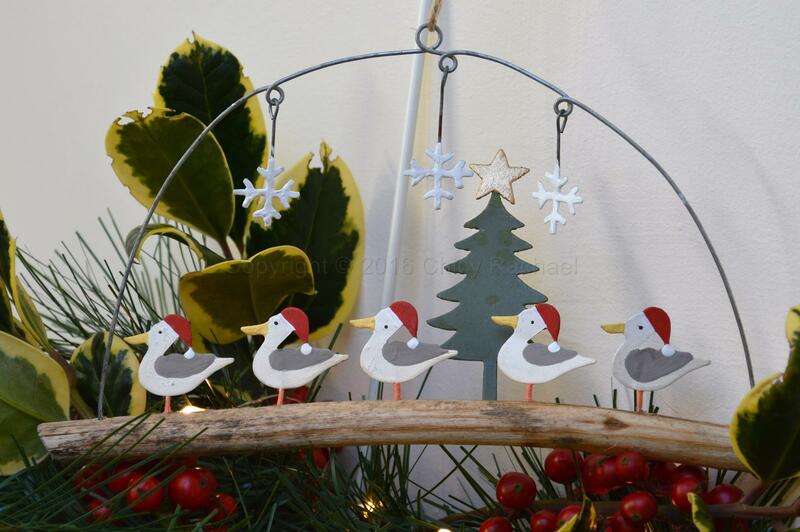 A very quirky seaside Christmas hanging decoration with five little tin seagulls wearing Santa hats standing on a piece of driftwood. With a Christmas tree and three hanging snowflakes. 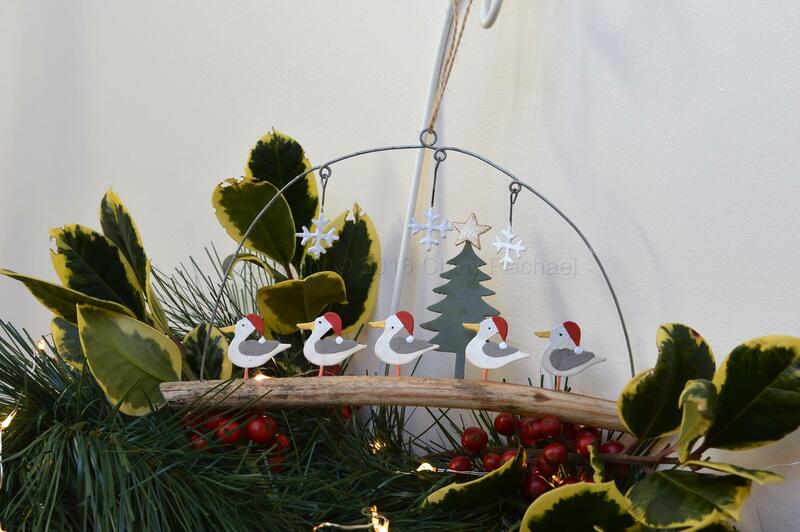 This adorable hanging decoration is the perfect finishing touch to any nautical themed room at Christmas.